In a time of political outrage, street riots and natural division, Atlanta’s High Museum of Art decided to bring people together. Every year, Atlanta’s biggest art museum hires a new group of teens from all areas of the city to be a part of their “teen team.” The teens work on various projects and events for the museum. However, one event consistently stands out: Teen Night. Since I moved to downtown Atlanta, I’ve attended Teen Night every year with my best friends. Not only is admission free for high school students, but the night is jam-packed with performances, open-mic opportunities, art workshops and photobooths. The theme of the night varies from year to year, but this time around, the museum was celebrating the life and work of Andy Warhol. Filled from top to bottom with Warhol’s paintings, my friends and I eagerly made our way to the museum’s fifth floor. 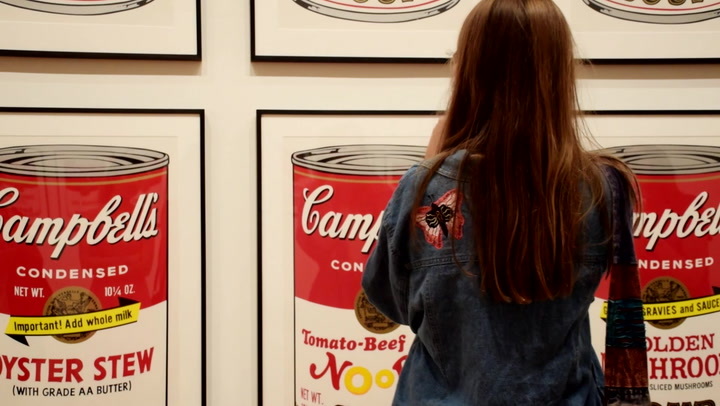 We admired the symmetrical cans of Campbell’s Soup, the smiling face of Marilyn Monroe and the dozens of other beautiful pieces of art. But there was more to the exhibit than just colors on canvas. On the same floor, a conversation was occurring about the lives of trans people living in America. Teens from all different backgrounds were sharing their thoughts and experiences on the topic. The room was completely open for an honest dialogue—a dialogue that I imagine Warhol aimed to spark with his art. The conversation continued on the bottom floor of the museum, where I watched several teenagers take the stage for open-mic. One read a story about her battle with depression. Another recited a slam poem about the political corruption and racism occurring within the country. The room even fell into complete silence as a boy covered John Legend’s Ordinary People. There was a feeling within the museum that night that is almost impossible to describe. For so many months, I felt alone, frustrated and on edge. However, during this one night, I finally felt like I had the freedom to express myself, connect with others and participate in a dialogue intended to create meaningful change. Friendships formed on every floor of the museum that night. Teens of all different backgrounds came together, both to speak about the issues that impacted them and also to support each other in overcoming these issues. As somebody who grew up in a small, closed-minded town, attending an event like this was incredibly empowering to me. The energy in the room alone was enough to inspire me to keep working towards creating positive change. I strongly encourage teenagers around the country to plan and attend events like this: you may just leave the room feeling like a completely new person.